BinoCentral is Western Australia’s top destination for all things optics. We have a wide product range encompassing different brands such as Celestron, Saxon, Leica, Vanguard, Bushnell and Steiner. Whether it’s telescopes, binoculars, spotting scopes, microscopes or magnifiers, we’ll have something to suit your needs. Our friendly optics experts are available in-store and online to help you chose the right product to nurture your interests. Call us on (08) 6108 4239 or visit us in our Perth store. 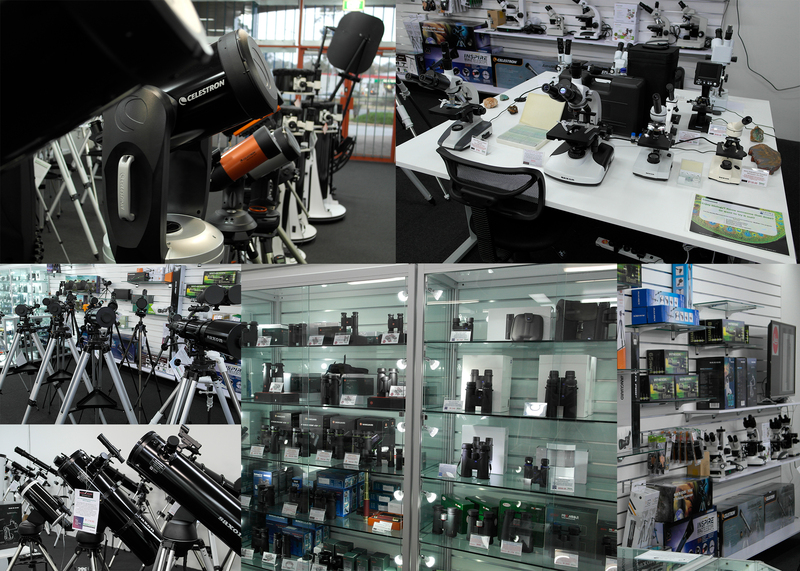 BinoCentral has the largest selection of telescopes in Western Australia. To check out our range, come visit us in our Perth showroom where our displayed telescopes are ready for your attention. We at BinoCentral believe that the best way to nurture an interest in astronomy is to know how to use the tools of the trade; and that’s why we offer FREE night sky viewing and lessons on the first Thursday of the month, from dusk to 9pm. Our optics experts will guide you through the different telescopes to find your perfect match. For those who’ve purchased a telescope from us, we will also provide FREE lessons on setting up, use and maintenance. BinoCentral has the largest range of Binoculars in Western Australia, catering for all uses. Our brands of binoculars we carry include Leica, Zeiss, Steiner, Saxon, Pentax, Vixen and Kowa. Have a chat to our optics experts to find the best pair of binoculars for your birdwatching, astronomy, land-viewing, hunting or travelling needs.